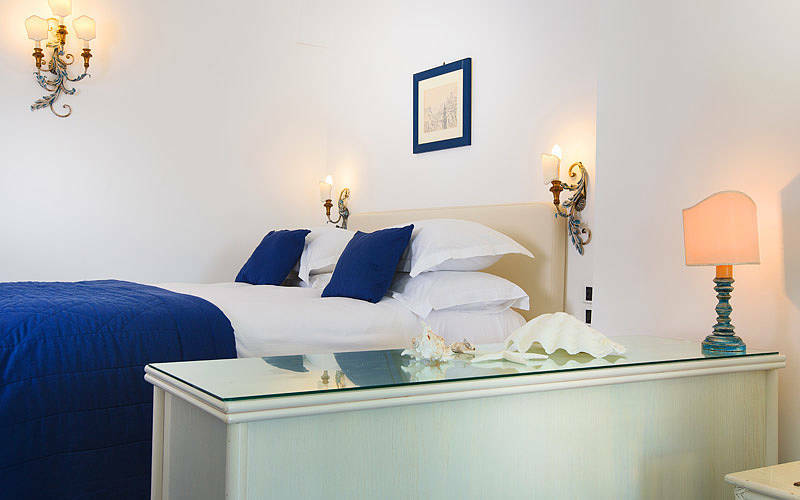 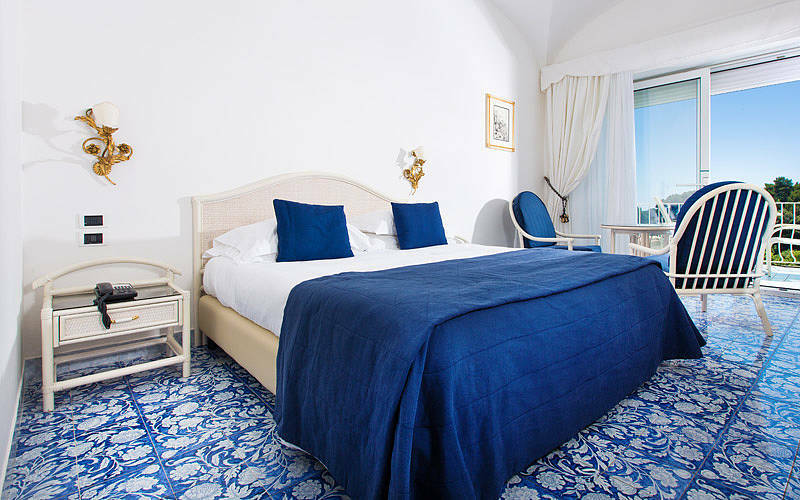 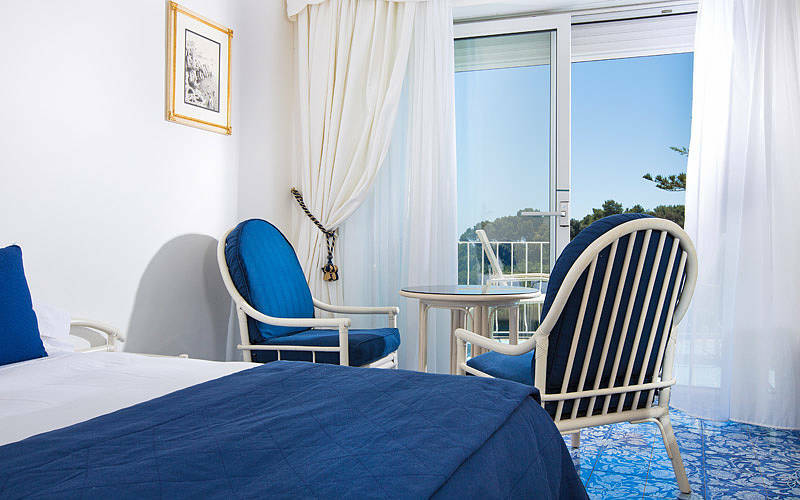 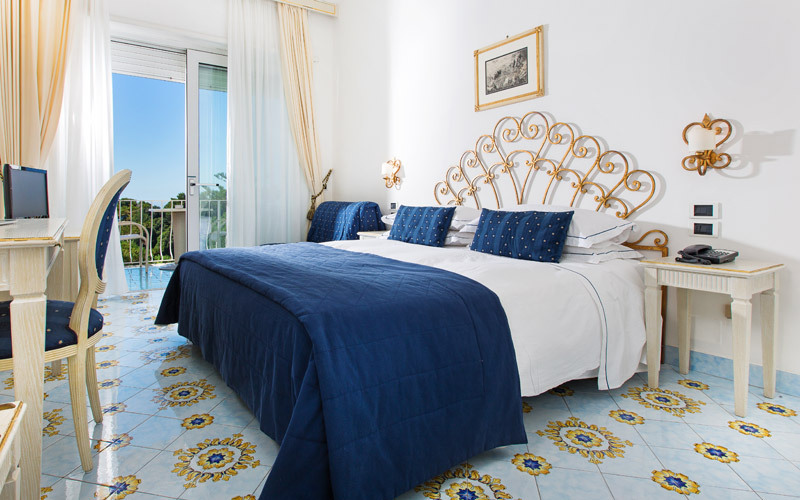 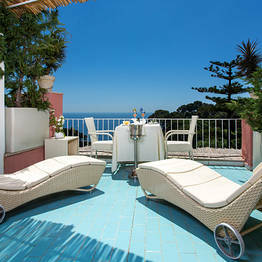 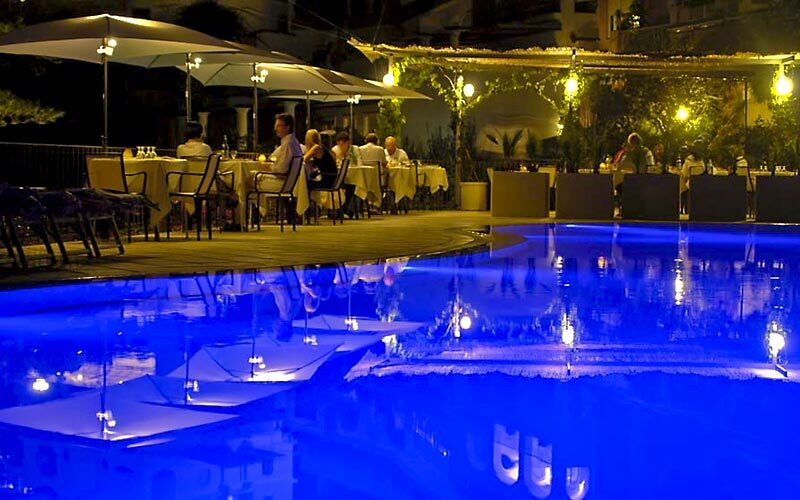 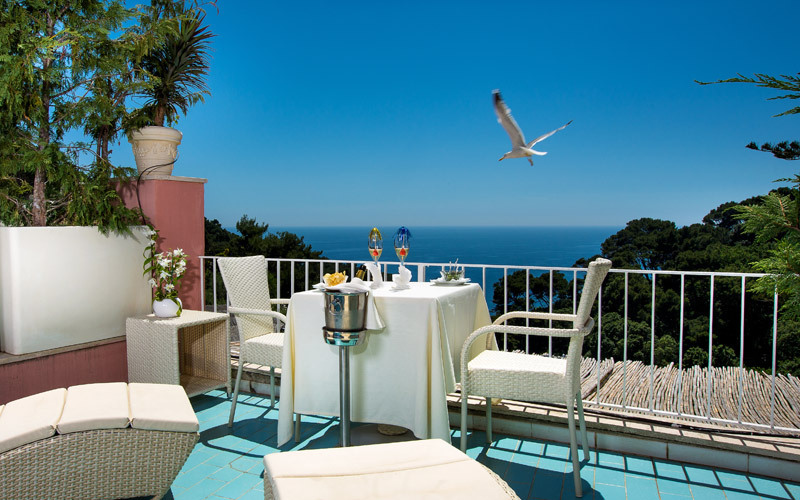 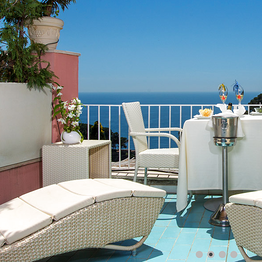 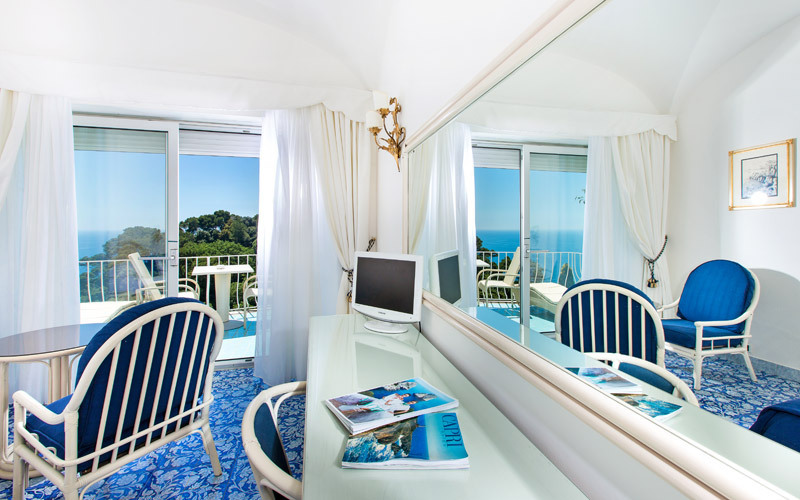 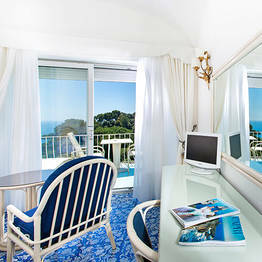 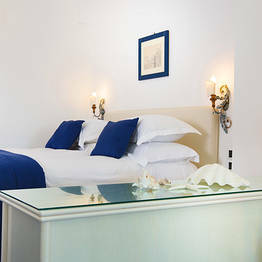 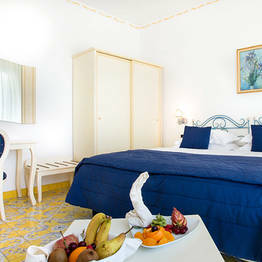 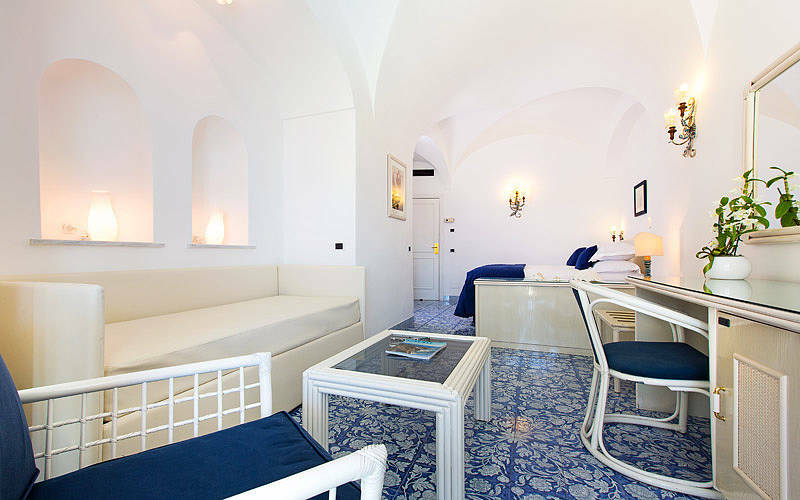 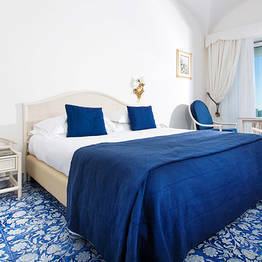 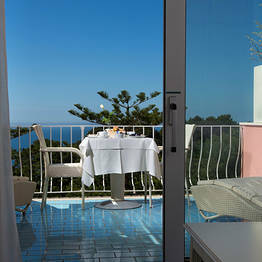 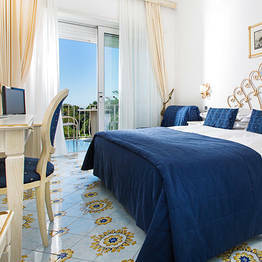 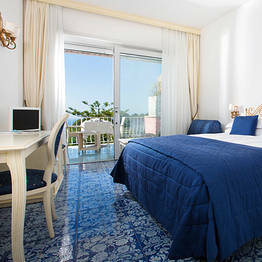 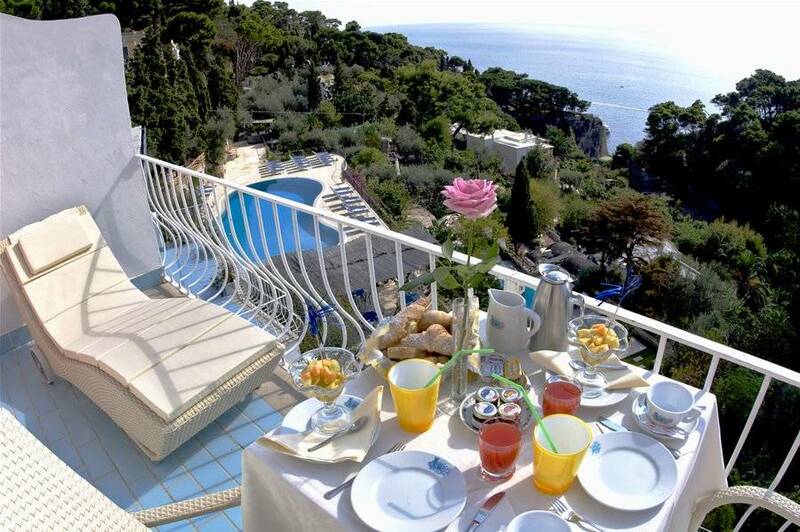 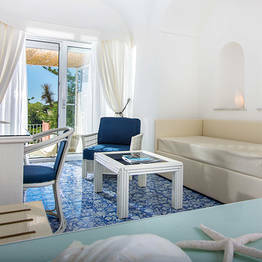 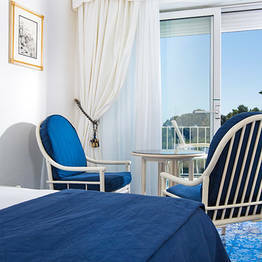 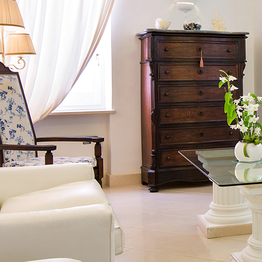 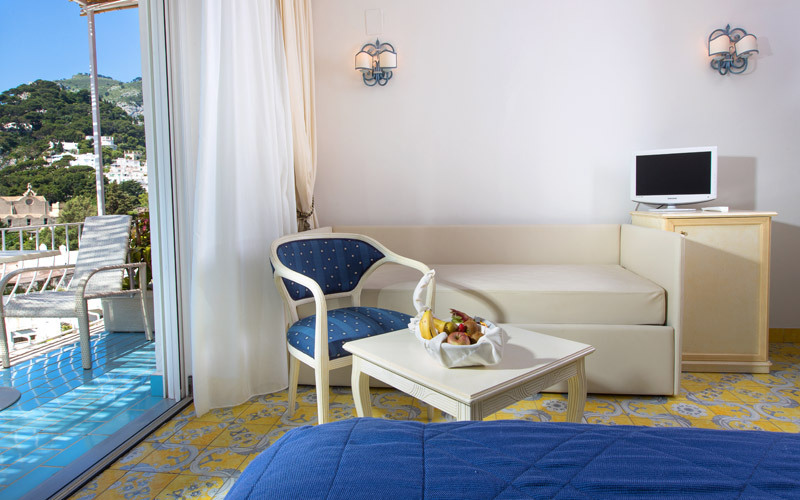 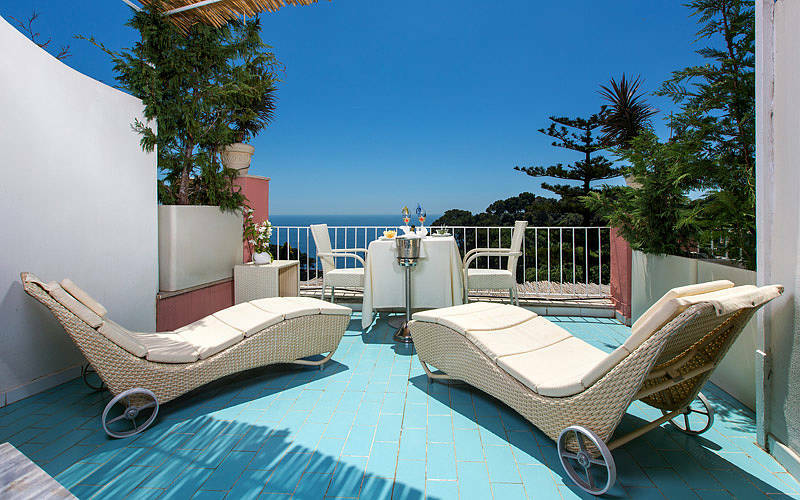 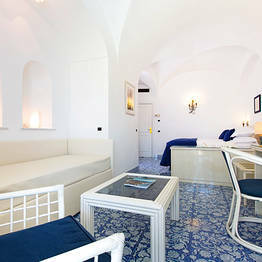 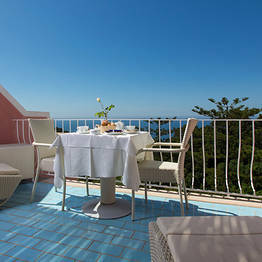 Hotel La Vega is situated in the heart of Capri, in a peaceful area right next to the island's historic center. 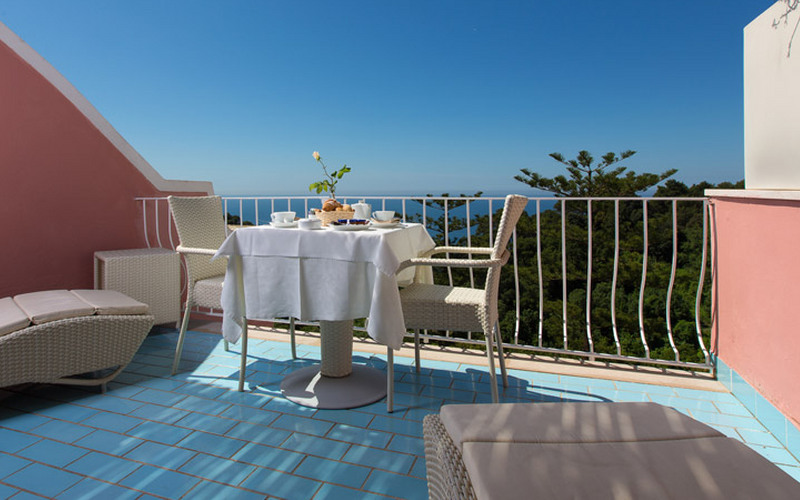 Only a few meters of picturesque road separate the hotel from the luxurious boutiques and the buzzing Piazzetta for which Capri is famous. 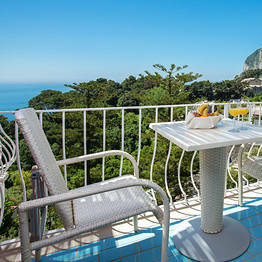 Hotel La Vega faces out on to the southern coast of Capri. 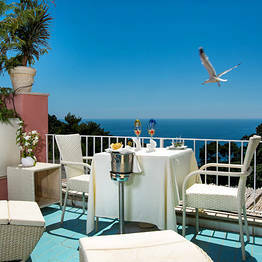 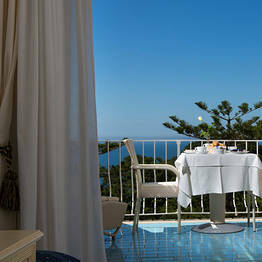 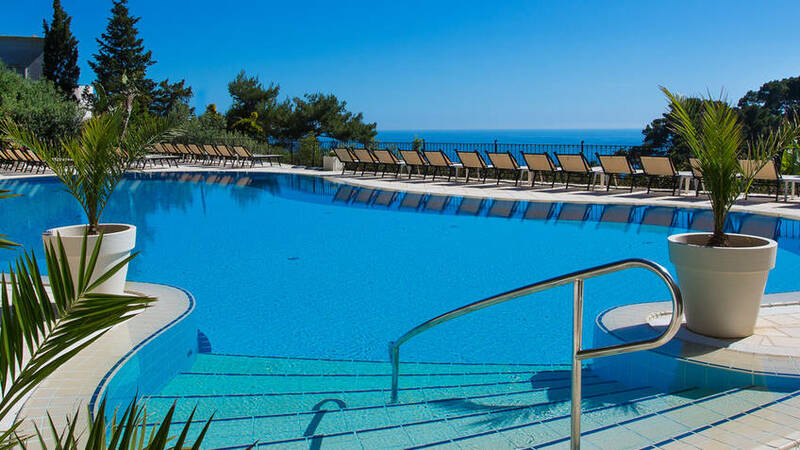 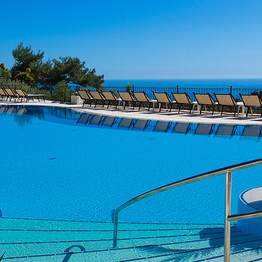 From the ''terraces of each of the hotel's 24 bedrooms a stunning sea view''' can be admired. 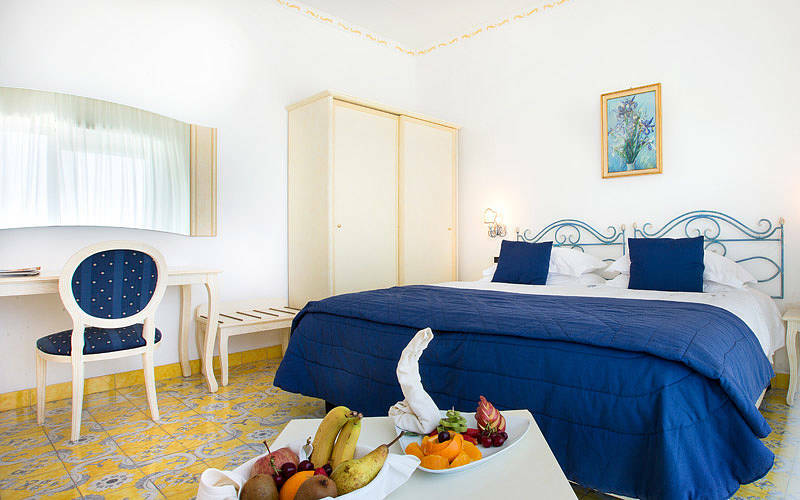 Guests sojourn in spacious rooms, tastefully decorated in simple island style and equipped with every modern comfort, including whirlpool bath tub. 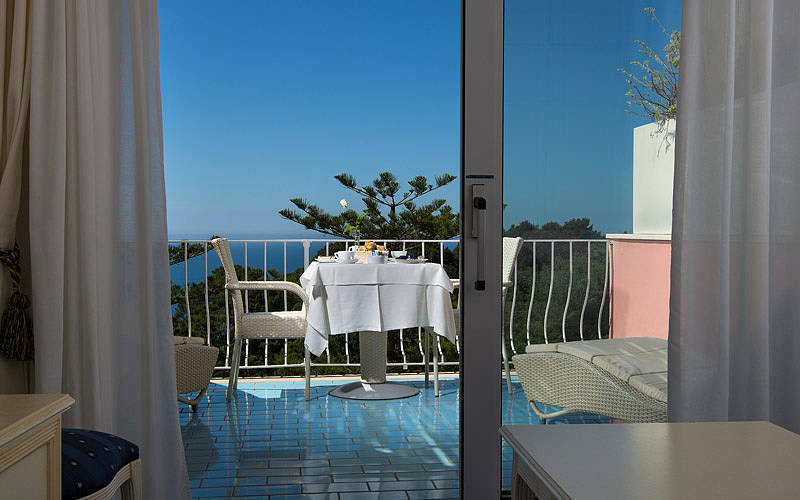 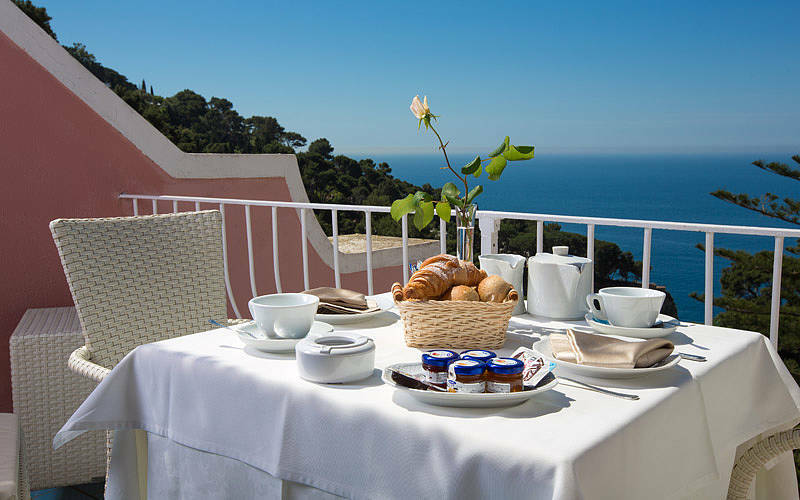 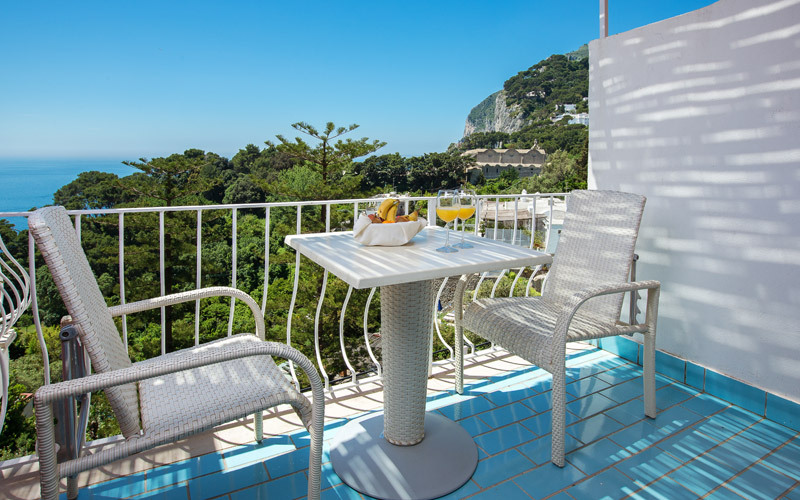 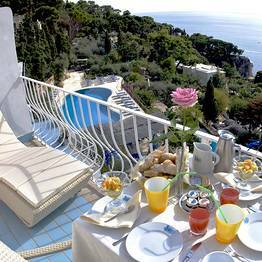 The rooms' private terraces provide the ideal spot where to take breakfast or simply relax whilst enjoying the views of the sea surrounding Capri. 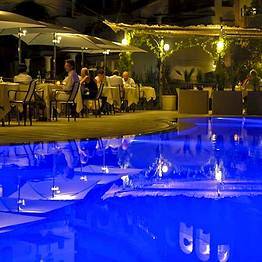 Another favourite place where to relax is Hotel La Vega's large swimming pool. 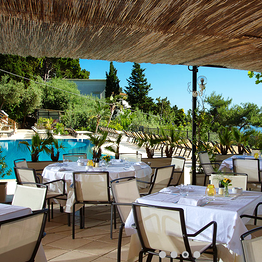 Entirely carved out of the rock, the pool is surrounded by olive trees under the shade of which guests savour the tasty appetizers served at the hotel's snack bar. 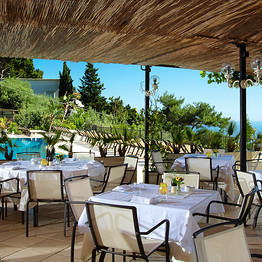 Delicious island cuisine is served in the hotel's Al Chiaro di Luna restaurant. 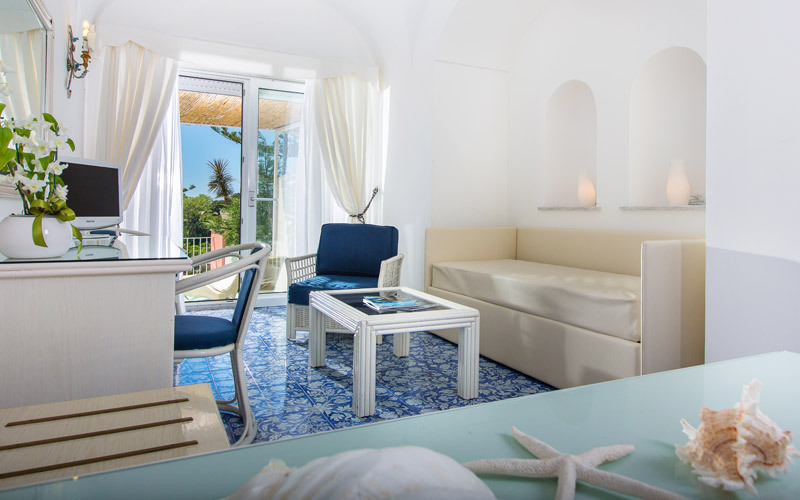 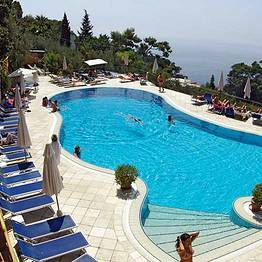 Hotel La Vega is situated just steps away from a number of the island's most important tourist attractions, including the Charterhouse of San Giacomo and the Gardens of Augustus, from where a spectacular view of the Faraglioni rocks and Via Krupp can be seen. 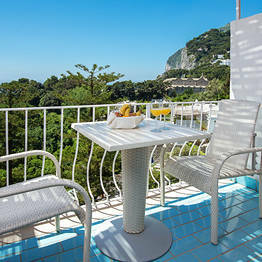 The Via Krupp pathway, a series of dramatic hairpin bends carved in to the rock face, links the center of Capri with the Bay of Marina Piccola.